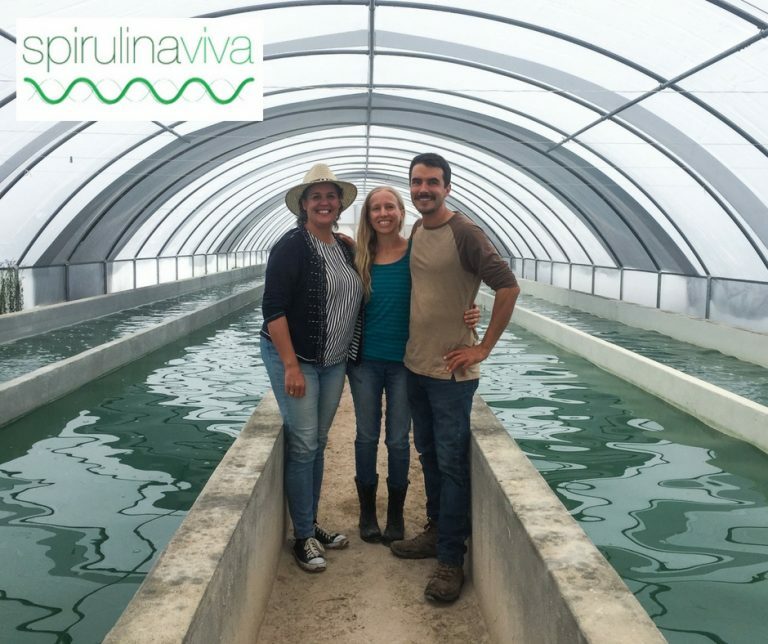 Spirulina Viva is a spirulina farm located in San Miguel de Allende Mexico. Since 2010 we have been growing spirulina, and in the past 3 years we have offered to share our experience running a successful nationwide spirulina buisness, through this training course. We have trained groups from Australia, Argentina, Colombia, Peru, Mexico, Brazil and the United States. Our objective is to support you in your creation of your own spirulina business because we believe it is a sustainable, enriching, highly necessary type of endeavor for these times. We are happy to share our experience with you as a short cut that will save you years of trial and error and a significant amount of resources spent on the wrong equipment, processes, etc. Here you will find the basic contents of our 3 day program, although since each group is different, we strive to make the content more relevant to your own goals, land situation, market, etc. Please keep in touch if you have questions and to plan your dates! Day 1: Planning, habitat and starting the culture. Brief history of our years as spirulina growers, and what our expertise will offer you. We will outline together a spirulina production system based on your resources and objectives. Starting the spirulina culture: how and when, what to use, conditions, containers, water, movement. Together we will measure and create the fertilizer for spirulina, culture medium and look at several formulas. Looking specifically at your conditions and what is available where your farm will be, we customize the containers and formulas. We will start a spirulina culture using two different methods and monitor them for the next 2 days. How to transport spirulina starter. First day schedule:	10:00 a.m to 15:00 p.m. Lunch, drinks and snacks are included, as well as trying Spirulina Viva in many different forms! Day 2: Harvest, packing, dehydration, optimization. – We will harvest using two different methods, the most common methods used in artisanal production. We will evaluate the combinations of minerals and their uses to study the formula for ¨feeding¨ the spirulina after harvesting. We will learn the most profitable methods of commercialization of spirulina, fresh, dehydrating and also the storage of each product. We will dehydrate part of our harvest and examine dehydration methods, for different climates. Optimization includes maintaining the health of our spirulina, its productivity, as well as solutions to production problems, situations that can put our harvest at risk. Water analysis, spirulina analysis (laboratory analysis)— types of tests we can and should do on site and off site. We will monitor our spirulina culture that we started Day 1. Day Two Schedule: 8:00 a.m. to 13:00 p.m. Lunch includes fresh spirulina in 2 different recipes, and you will take home a recipe book with 30 recipes. Fresh spirulina should not have a notable taste, but it is fun to experiment with its creamy texture. Day 3: Reinforcement, more hands-on practice and sales. We will reinforce what we have learned during the previous 2 days to make sure it is clear. Go through the entire process, from starting the culture to packing for the final customer. There are several types of tests we can do on our spirulina, we will do a series of lab tests including examination under the microscope and analyze what the results tell us — is our spirulina lacking a certain element or nutrient? Promotion strategies, sales, customer relations, marketing, different packaging options for different markets, shipping methods. The ¨starter¨ Spirulina seed that you will take is packaged and we will discuss how to care for it during its travels. Accessories that you will use for starting, your ´kit´ that you will take with you include several fishtank-stage accessories like pump, thermometer, and enough fertilizer to grow 1,000 liters of spirulina. Please contact us for more information about how to get started!